We’ve been sailing the Pacific Ocean as a family, following the wind for four months now. 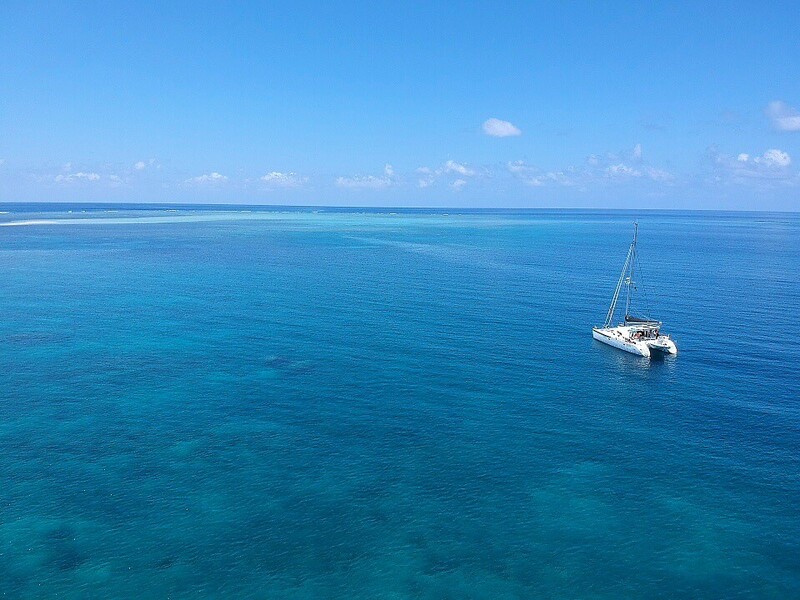 With our two children on board of our Lagoon 380 Ganesha, we’ve given ourselves 6 months to discover all the secrets the Coral Sea has to offer. 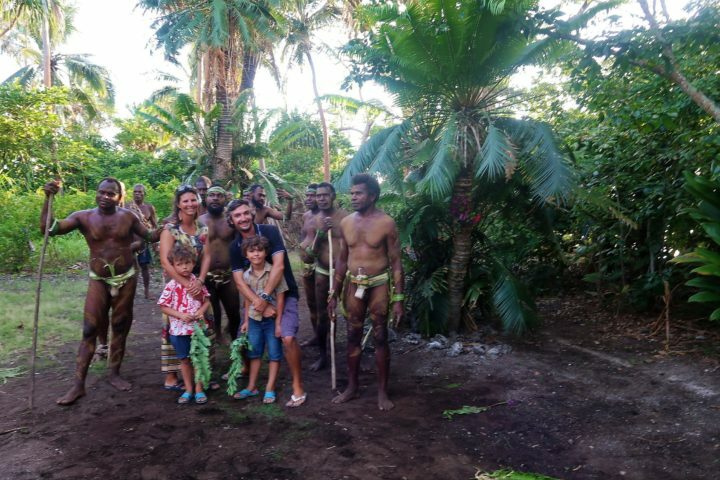 We really fell for the Vanuatu archipelago! After we discovered the Yasur volcano, we decided to extend our stay within the more than 80 islands of the Standing Country. What struck me when we arrived on this land was its isolated and scarcely developed character. 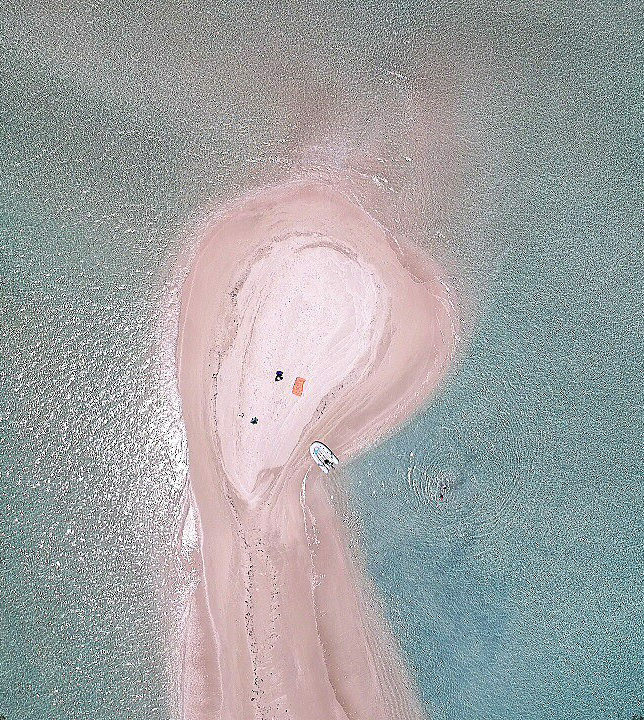 When you decide to sail here, you must bear this in mind and measure your ability to be totally independent. Sure enough, there are almost no infrastructures and the only shipyard based in Port-Vila has neither marina, nor ship chandler. We do occasionally come across other amateur yachtsmen but there are very few of them. But we won’t complain because this is one of the reasons why we fell in love with this archipelago. Despite the technical training I followed in the pleasure boating sector about twenty years ago, I never really had the opportunity of putting this knowledge into practise since then. 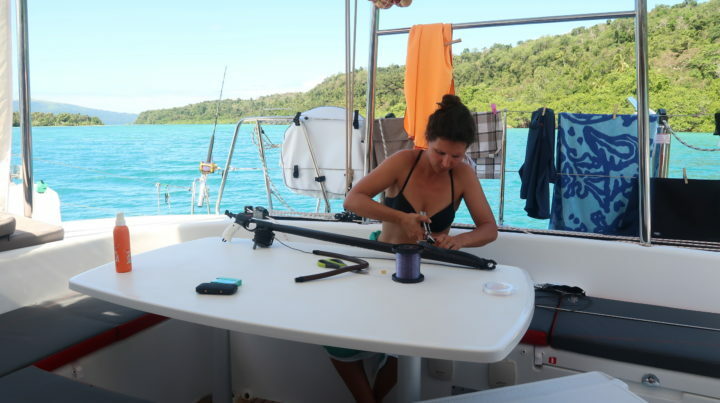 However, on our multihull we must be capable of repairing all sorts of technical problems. We have been very lucky until now because we’ve only had very few problems to solve. 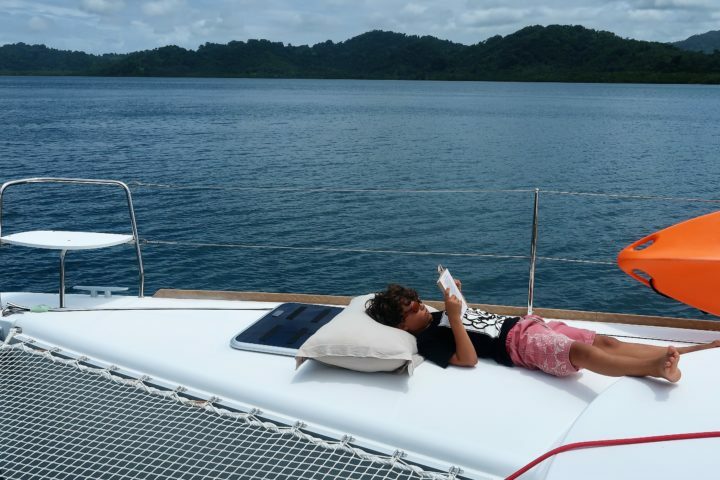 This goes to show that the Lagoon 380 is a highly reliable catamaran thanks to her simple equipment: two Yanmar engines, two solar panels, B&G electronics and a 12V desalinator which is very intuitively designed. On board, we neither have a generator, nor air conditioning, nor even a freezer. The equipment may be less comfortable than on some other boats but our aim was to reduce technical problems to a minimum. Our last ordeal was to find gas cylinders adapted to our boat because French cylinders are different from Caledonian ones We didn’t want to change the installation set up by the Lagoon shipyard for obvious safety reasons. We roamed through numerous DIY shops, met various engineers from the local gas company and finally managed to set up a simple and reliable solution. A few weeks later, there was an electric problem with our desalinator. 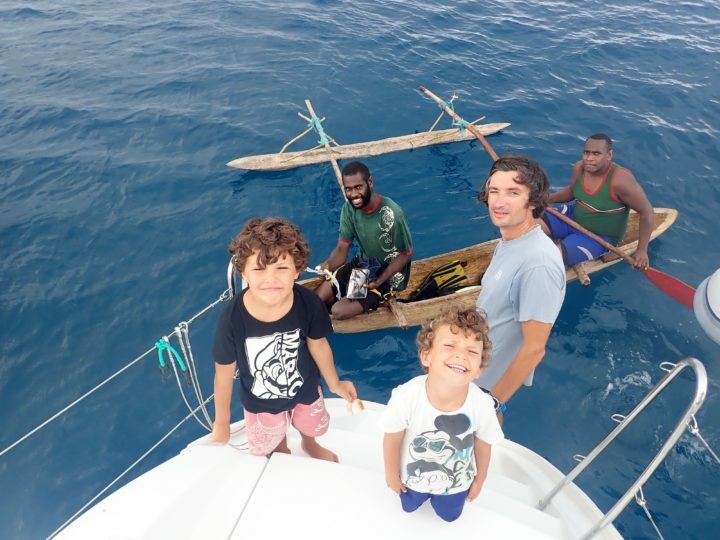 Fortunately, we were not far from the main island of Vanuatu and managed to quickly make it back to Port Vila, the only place to find shops to fix our problem. We also had to carry out several tests in order to find a viable solution. The cost of the faulty parts’ shipping from France would have been too high, so we decided to use spare parts from real estate worksites. We finally managed to get the desalinator back in working order. 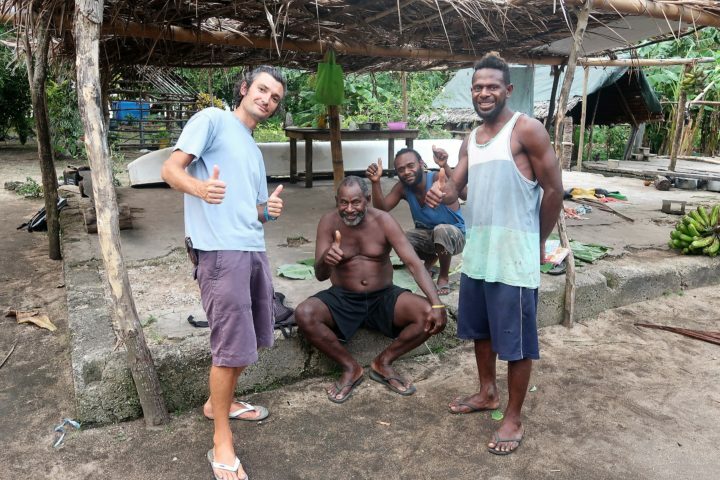 The Vanuatu islands use rain or well water for their water supply but the quality of the water isn’t always there. There have been several cases of infections, such as Hepatitis B, from the island’s water. Once again, being resourceful proved its worth and it’s the only way forward in these remote parts of the world! These are the only two real technical problems we came across in our four months of sailing. This is relatively few compared to other boats we met. This can be explained by the fact that our Lagoon Ganesha is reliable and easy to use. Also, we take great care of her. We make a point of cleaning the boat regularly, which allows us to spot potential future problems. Without specialised mechanics, we service the engines ourselves every 100 hours, we inspect and check the rigging is tight regularly, while keeping an eye on the electric equipment and plumbing. We believe it is important to really take care of one’s boat. We sail calmly by reducing sails early enough, we use low or medium speeds and recharge batteries as soon as necessary. This way of life corresponds to our vision of sailing. Plus, with children on board, we do not want to tackle challenges, but make the most of each stage, following the family’s rhythm. Indeed, when you’re exploring lands that are as remote as these, it’s crucial to pay careful attention to every move. This trip has helped us develop many skills. Even if it was sometimes a little stressful at the beginning of the adventure, we soon realised that we could adapt in extraordinary ways. It’s when you go for it that you learn to face this kind of challenge as you go along. Go on, it’s just there at the tip of the stern! 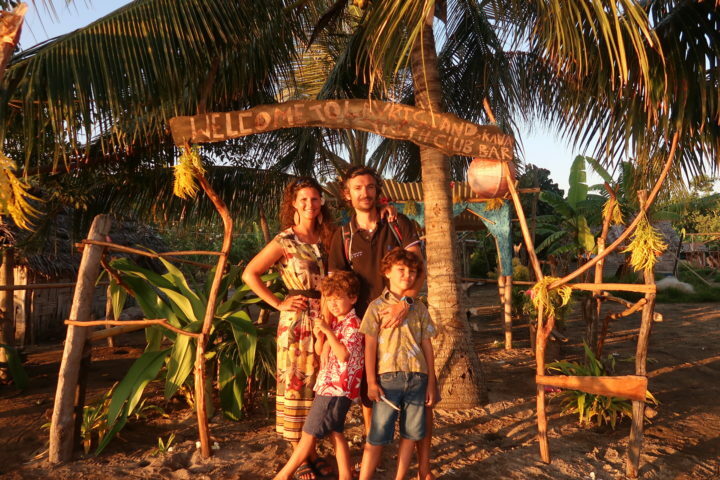 Thibaut, Marjorie, Ulysse and Titouan on board of the Lagoon 380 Ganesha.